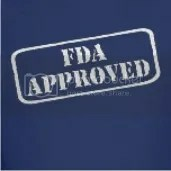 There was a time when “FDA Approved” was a vote of credibility. We could purchase a product and feel safe because the government watchdogs had checked it out thoroughly before allowing it to be sold. Recent research on a variety of topics has led me to note some astonishing facts about the GMO Food and Drug Pushers Administration. Like a bad penny, it seems whatever topic I’m looking into, the FDA keeps turning up. The FDA has a central role in the increasing tyranny in the United States and we, as taxpayers, are funding them to do this. Califf is a cardiologist who was a tenured professor at Duke University School of Medicine. He’s long been criticized for having deep financial ties to Big Pharma. He worked closely with drug companies and convinced them to do large, expensive clinical trials that were very profitable for Duke. Califf was a paid consultant for Merck Sharp & Dohme, Johnson & Johnson, GlaxoSmithKline, AstraZeneca, and Eli Lilly per ProPublica from 2009 to 2013. In the disclosure information for an article published in the journal Circulation in 2013, Califf shared that he was a consultant for Gilead – the drug company that recently came under scrutiny for outrageously priced hepatitis C drugs. The price for a 12-week course of treatment with one of the drugs was initially set at $84,000. Hamburg served on the board of directors of Henry Schien, Inc. previous to her appointment to the throne of the FDA. Henry Schien, Inc. produces amalgam dental products – products that contain toxic mercury. Hamburg spearheaded the legislation that allowed mercury to be allowed in dental products (without a required warning for the consumers) during her time at the FDA. Hamburg was recently named as one of the defendants in an $800 million RICO lawsuit. The suit accuses Hamburg of playing a role in a conspiracy to approve Levaquin, an antibiotic drug known to cause severe (and even deadly) side effects, in order to financially benefit her husband’s hedge fund which held very large financial positions in Johnson & Johnson, makers of the drug. A Bush family friend, von Eshchenbach has a background as a drug peddler for Big Pharma and as the head of the National Cancer Society. Some highlights of his reign over the FDA were the speedy approval of Avandia, a medication for diabetes that had the unfortunate side effect of a 43% increase in heart attacks among those taking it; and accusations of corruption and intimidation by the FDA’s own scientists. The FDA seems to be busily striving to regulate the family farm right out of business. The FDA has gone “SWAT Team” on producers of raw milk and cheese, performing armed raids on small farms, seizing and destroying inventory and handcuffing farmers to haul them off to jail. The FDA keeps adding “food safety” requirements to small organic farms while doing nothing about the factory farms’ abundant use of pesticides and toxins. With all of these new (time-consuming and pricey) legislations that farmers must adhere to, the price of local organic produce is skyrocketing, making the product unaffordable for most Americans. This, in turn, reduces competition for the huge factory farms and their GMO-tainted, chemical-sprayed products, allowing a huge profit at the end of the day for Big Agri. The FDA crackdown on health food stores and promoters of natural remedies is reminiscent of cops raiding a meth lab full of junkies. Since 1987, facilities such as the Life Extension Foundation, vitamin manufacturers, health food stores, natural pet food stores and naturopathic medical clinics have been raided by agents waving assault rifles. Owners and employees have been arrested and convicted of crimes. Countless merchandise and literature has been confiscated. What was the crime committed by these natural healing companies? They don’t tithe to the Church of Big Pharma. People taking vitamin C and Echinacea might be less likely to get a toxic flu shot, and that doesn’t put money in the pocket of the puppet masters. The “harmonization” process, in which the US complies with all Codex Alimentarius policies, will make the current corruption look like child’s play. We will be starved of nutrients while gorging without satisfaction at a table that appears to be laden with bounty. The FDA wants to be in control of ALL things ingested by the American people. The FDA is simply an enforcing tentacle of the big business organized crime syndicate that actually runs the United States. The FDA can overlook the horrible side effects and suicides caused by anti-depressant pharmaceuticals while attempting to ban the sale of St. John’s Wort, a remedy that has been used successfully for hundreds of years. The FDA can bypass the deadly e-coli outbreaks occurring in massive factory farms where the animals are squeezed in so compactly that they can’t turn around, but they want to prosecute an organic farmer for using manure as compost. The FDA can cheerfully tell the American people, “Don’t worry, there’s nothing to see here” with regard to the ever-rising radiation levels in milk but they want to raid the dairies of an Amish man who sells milk right from the cow, as it has been consumed for centuries. The FDA wholeheartedly supports genetic modification of our crops and livestock. The FDA endorses additives and preservatives. The FDA promotes chemical pharmaceuticals over gentle natural remedies. The FDA wants to oversee homemade soap and homemade cotton feminine hygiene supplies, but allows toxic ingredients in commercial soap and has no issue with the bleach and glyphosate in store-bought tampons. The FDA is completely and irrevocably corrupted. The mission of the FDA was to protect the citizenry from the greed of the big corporations, but now the department is nothing more than an arm of business. Not only do FDA bigwigs benefit from the corporations whose agendas they push, we pay them to do it – as taxpayers, we are paying for the FDA to sell our health to the highest bidder, regardless of the consequences. We can safely add FDA board members to the list of traitors to the American people who should be prosecuted and harshly punished for their crimes against us. There is no bottom line but the bottom line of the balance sheet.